← HM3: The Fat Tattooed Mage Gloves of DOOM! Wasn’t this a scene in Private Parts? And this is torture or first date? I refuse to believe they didn’t know the implications. Especially with the way she’s drawn. See now I really know why chicks go for musicians! 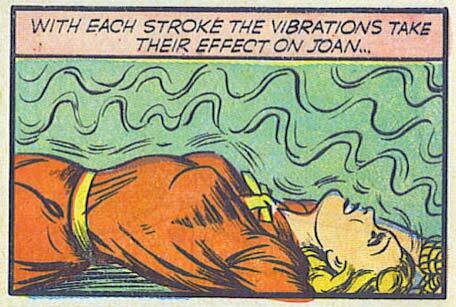 What’s this, X-rated comics in the ’40s? Man, I bet these were meant for the GIs.